Rapper Xzibit posted the sad news on his myspace page that his newborn son who was born prematurely just passed away. 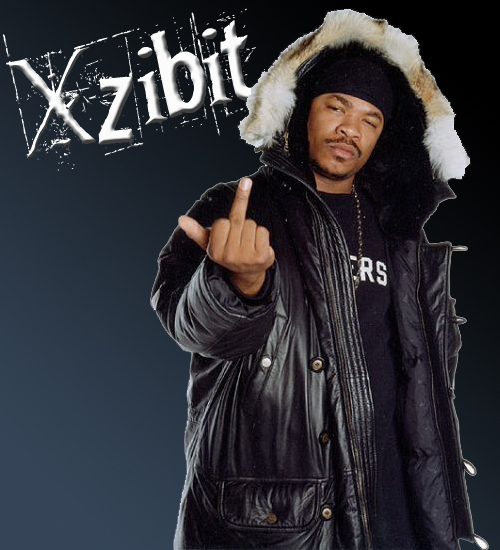 Our condolences go out to Xzbit at his time of loss. AS you all know, I shared with you the announcment of my newborn son Xavier Kingston Joiner on may 15th and also informed you that he was born prematurly. well this week was extremly difficult for him because his lungs were not strong enough to handle regular oxygen on his own. Xavier passed away this morning at 3:30am and I must tell you this, It is unatural for a parent to bury a child. I am telling you this because of the same reason I tell you when im having great times, life is too short to be fake. Hold on to your kids if you have them, protect them and show them you love them everyday you wake up and see them, dont take a second you get to hug them teach them and care for them for granted. You can have all the material wealth in the universe but it is NOTHING compared to having your family. I am thankful for all of my blessings and im not one to question God's perfect plan, so I leave you with great love and thanks for the love that was sent earlier on my pervious blog to my son. Of course I need to take some time and handle my loss, STAY FOCUSED PEOPLE. Its not promised to any of us.